I am so glad that you all voted for this to be the next read-along. 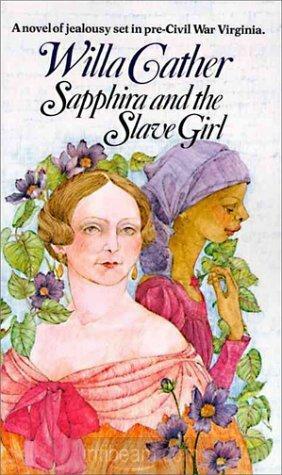 And while it wasn't as popular as the Cranford read-along, I am glad that I took the time this month to get acquainted with what I am now going to deem one of my favorite books ever. I am not sure how to go about explain Marquez's masterpiece to those of you who haven't read it. When I attempted to explain what it was about to a girl at work, she thought I was crazy for saying that I liked it. But I can't help it. The book is marvelous and I really just want to go back and read it all over again. For me, it was the writing style that made this novel what it is. Marquez's way of weaving magical bits of wonder into everyday life made the novel something completely different than anything else I have ever read. While the novel is certainly about the town of Macondo, it is also about a family that thrives and suffers with the town. As the years pass, the reader gets to see the Buendia family in glory, shame, success, failure, and ruin. They live and breathe passionately and their tale is so intertwined with that of Macondo, I don't see how Marquez could have written it any other way. I really loved certain characters. Ursula, the matriarch and wise woman of the family is always lingering in the background. She continually tries to get her family on the right path, and works hard to try to be a success. Her life was beautiful and the final sentences of that life were truly touching. I also loved Rebeca, the girl who arrives with her parents bones in a bag and eats the earth out of fear and uncertainty. She marries her cousin and moves out, but becomes that image of beauty and insanity. The scenes of her late in life in her house all alone broke my heart. I also was enthralled with Pilar Ternera, the woman who seduced two of the Buendias and cast their fates in her cards. "At night, holding each other in bed, they were not frightened by the sublunary explosions of the ants or the noise of the moths or the constant and clean whistle of the growth of weeds in the neighboring rooms. Many times they were awakened by the traffic of the dead. They could hear Ursula fighting against the laws of creation to maintain the line, and Jose Arcadio Buendia searching for the mythical truth of the great inventions, and Fernanda praying, and Colonel Aureliano Buendia stupefying himself with the deception of war and the little gold fishes, and Aureliano Segunda dying of solitude in the turmoil of his debauches, and then they learned that dominant obsessions can prevail against death and they were happy again with the certainty that they would go on loving each other in their shape as apparitions long after other species of future animals would steal from the insects the paradise of misery that the insects were finally stealing from man," (442). It is a glorious novel and one that I cannot find the words to explain. I think this is a novel you have to read for yourself. "...and that everything written on them was unrepeatable since time immemorial and forever more, because races condemned to one hundred years of solitude did not have a second opportunity on earth," (448). If anyone else finished it and has a post written, please leave a link here. When I went on vacation two weeks ago, I brought with me some "fun" books that I had been harboring since...well, not that long ago. As books have been released over the past year, I have snatched up a few titles that I knew I needed to add to my collection. My original intentions were to read these when I finish my project, but I needed a break. So I stopped reading classics for about a week and a half and treated myself to a few of the things I had been stashing away. I brought five books with me on vacation and they were from two different series that I have been following for a few years. Both had a book recently released, so it was a great excuse to dive in and read to my heart's content. This first post is over two books in one of my all-time favorite YA series: Ranger's Apprentice by John Flanagan. I even wrote a Thursday Treat post over this series back in January. The first book I read, or Book 7 in the series is called Erak's Ransom. It was released a few months ago and since I own the other 6 books in hardcover, I purchased it a week or so after it came out (my books have to match, but that's a whole other discussion). It had been sitting on my desk since I bought it, and collecting a fine layer of dust while it taunted me. When I began reading this up north, I literally began to fly through it. Everything I read in the eleven months prior to this has been a "classic" so I was surprised at how fast I was flipping pages and getting into the story. The story itself lived up to my expectations. The characters were still familiar and developed. The plot-line was excellent and allowed the reader to learn more about the world within the series. This volume, in particular, had a lot of action that reminded me of the first 4 in the series (books 5 and 6 seemed to slow down a bit). This made me really happy, as that is part of the reason I love the series. It was action-packed and fun. My one complaint is that the writing seemed off. It seemed a little wary in some parts, and a little contrived. Perhaps I have been spoiled by all of the great writers I have been reading lately, but Flanagan seemed dry in certain parts. However, the overall experience was enjoyable and I finished all 373 pages in about 3 hours. It was a great afternoon read at the end of the dock. 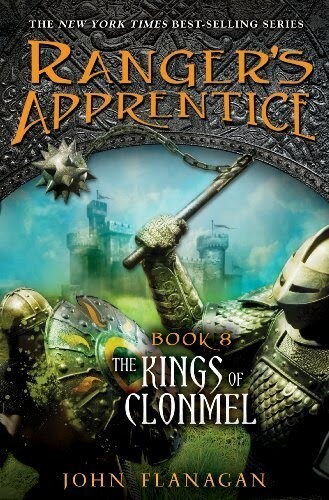 Book number 8, called The Kings of Clonmel was released earlier this month. I picked up a copy right before my birthday, knowing I would read it right after book 7. I started this right after finishing Erak's Ransom, and again, I was swept right into the story. In some respects, I found this book far more mature than the previous volume. The focus was more political and offered a lot to think about. But, that being said, I didn't enjoy the story as much. When I read a book like this, I want to have fun and be swept away. And I wasn't in quite the same way. I thought the plot sounded too much like a prior book, and I was disappointed in the "Twists" Flanagan threw in. 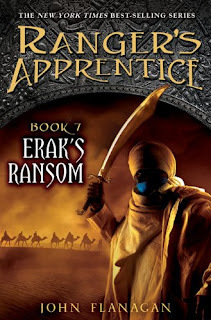 Where Erak's Ransom was fast-paced and action filled, this one plodded along and seemed almost boring in certain parts. And for a series I usually rave about, I am coming away with little positive to say. I generally recommended these to my struggling male readers when I was teaching, but if I was a student and got to this book, I think I'd be a little peeved. Again, the writing did not catch me in quite the same way as it used to, but I fared better writing wise with this volume than the previous. I do honestly think that my perceptions of good and great writing have changed since starting my project. With all of this being said, I did enjoy the first two of my five book "fun reads." It was nice to visit with some old friends, and to realize that my reading tastes have slightly altered. 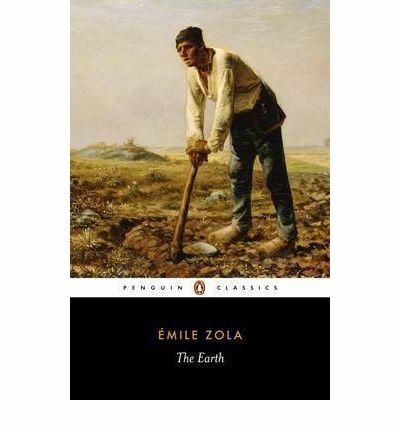 I think I am going to be a much bigger critic of what I read than I ever was before, and I owe that to the classics and authors I have been reading. I just want to say real quick that while it seems like these might be a little negative, I really did enjoy them both. I think I would have enjoyed them more reading the series all together, or if I wasn't shifting from some dense reading (An American Tragedy) to these in a matter of hours. It was hard to readjust. 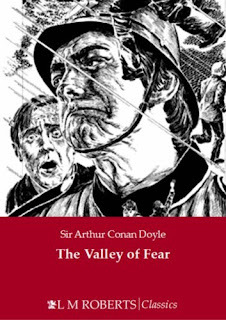 The last of the Sherlock Holmes novels, The Valley of Fear is the follow-up to the best of the novels. 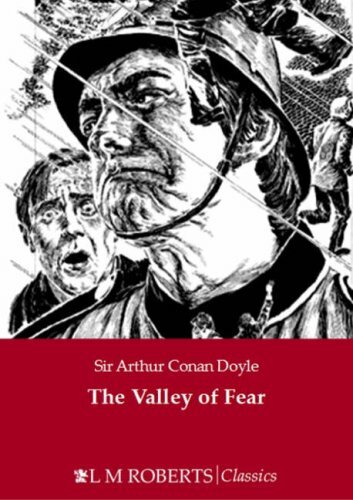 I can say this assuredly, as I have officially finished the four novels, and unfortunately, the hype surrounding The Hound of the Baskervilles is true. That being said, The Valley of Fear is definitely a great story. It picks up along the same lines as Hound, but in a different sense. You can certainly tell that Doyle is growing ever more tired of his detective. He never wanted to write more Holmes stories after the last one in The Memoirs of Sherlock Holmes. I can tell, as the reader, that Doyle is simply placating the public. It shines through in his writing. 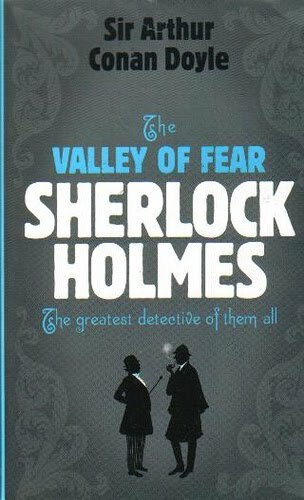 There is also the leaning towards violence in this novel, as there was in some of the later short stories in The Return of Sherlock Holmes. It seems that Holmes is now the master murder-scene investigator rather than a great detective of the weird and unusual. It makes me long for the clever sleuthing in stories like "The Red-Headed League." Anyway, the book opens with a brutal murder and unusual circumstances. The murdered man's head is blown off and his house is surrounded by a moat. The drawbridge was up that night, so there was no where for the murderer to go. 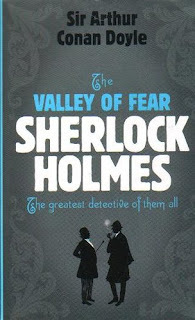 Of course, Holmes and Watson are drawn into the crime and slowly, Holmes works out the details of the crime. Halfway through the book, Holmes gives the solution to the crime. Like he did in A Study in Scarlet, Doyle switches gears at the halfway point to give the full back story to the crime. In A Study in Scarlet, this merely bothered me. However, here is really irritated me. We begin with such dark and mysterious circumstances around the death that I just want to know the solution. I do not want to read through another 100 pages of back story to get the full picture. 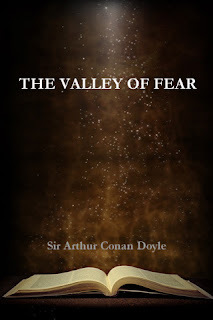 Doyle takes his time painting the portr ait of the valley of fear, seemingly without a point. By the time this section ends, I was annoyed and angry and felt that Doyle wasted my time. The switching of pace threw me off, and most of the story seemed extravagant. 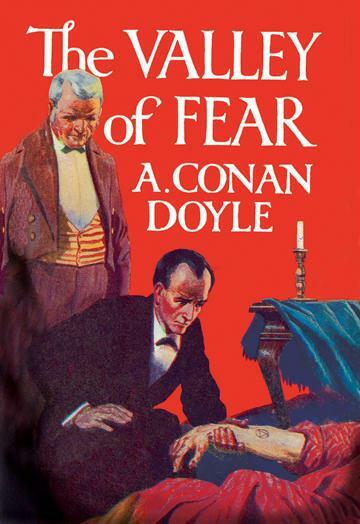 While I can understand his need to explain what happened to the characters and how they arrived at the point of the murder, I wish, like I did for A Study in Scarlet, that Doyle had intertwined that narrative with the rest of the mystery specific events. It would have made for a much more enjoyable reading experience. That being said, I again have to go back to the violent element of the plot. In earlier stories, the crime was never so violent and the means of death were never so gruesome. I have to wonder if Doyle was getting a little morbid in his later years, or if the public outcry was so much that he needed to outdo each crime he presented. Personally, I don't mind gruesome, but I find that the continual use of violence is obnoxious in the way that Doyle uses it. However, given my complaints, I still enjoyed the novel as a whole. The back story was well-developed and showed Doyle's ambition to write things other than Sherlock Holmes stories. The characters other than Watson and Holmes took on more development, and the solution was surprising (although, I feel I should point out that this is the first time I guessed the solution before Holmes revealed it!). By this point, I can feel the end of Holmes, and while I am enjoying the Holmes stories and his development as a character, I am ready to set him aside. 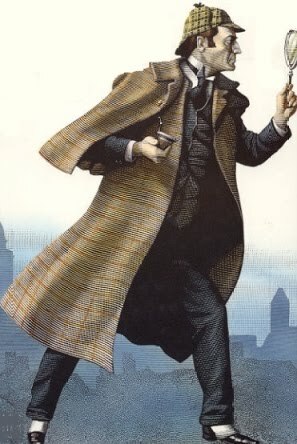 I have two more books of short stories left: The Case-Book of Sherlock Holmes and His Last Bow. Both are shorter than the other books of short stories, but it might take me a little ;onger to get through them, especially since I am growing a little weary of Holmes. We shall see! I will be glad to cross Sherlock off my list. It is hard to believe I have been reading about him since April 1! Going into my reading of Robinson Crusoe by Daniel Defoe, I wasn't sure what to think. 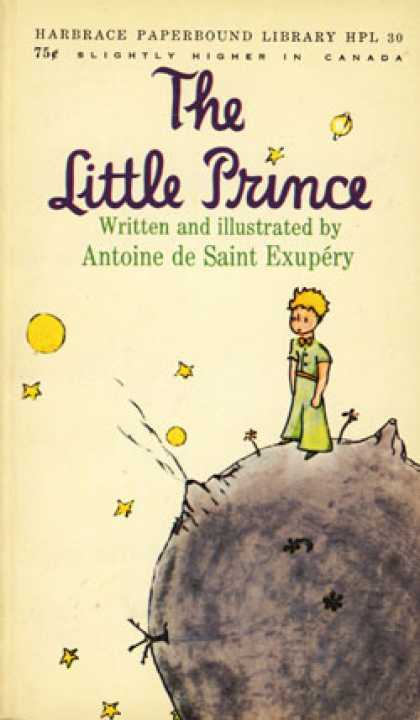 When I was a kid, my mom had bought us a big collection of illustrated classics for kids. There were a few of them that I really loved (Little Women and Black Beauty) especially, but I stayed away from what I determined to the be the "boy" books. Robinson Crusoe was one of those books. And I have always seen Defoe's work in that same manner. I was never interested in it and I always thought it would be something entirely different than what it is. So when I finished the book I was surprised to find out that not only did I like the book, I kind of loved it. It surprised me in many ways. I didn't find it slow or boring, or "boyish" at all. I loved Robinson and his ability to make the best out of a horrible situation. Alone on an island, he didn't wallow or constantly wait for rescue, he survived. He caught wild goats and tamed them so he would be able to have milk and cheese. He rescued the supplies he needed from the ship and stored things he thought he might need in the future. He plotted land and planted his grain in attempts to have a harvest...and he didn't eat his first harvest, but replanted it so he would have a surplus in case of bad weather. Heck, the man even figured out how make a kind of bread over his fire. He truly was remarkable. I would have cowered on the beach and probably been attacked by the goats if I was there alone. The best part of this book is Crusoe's narrative, and his need to record everything that happened on his island over the 24 years he was alone there. His every success and failure is written down so that when he is finally rescued (and he always assumes he will be), he can remember every moment. His undying hope and courage were inspiring and I was sucked in to every moment of this novel. Looking back on it now, I should have realized sooner that I would love it. One of my favorite books as a young teenager was The Island of the Blue Dolphins by Scott O'Dell. That too is a narrative of how one person survived on an island for years before being rescued. 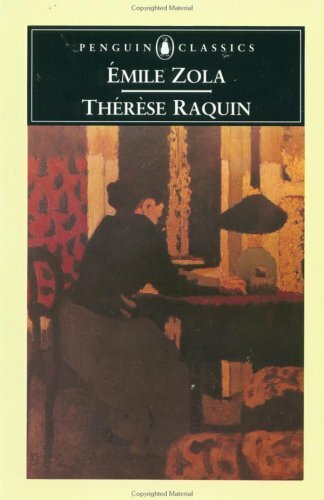 That book fascinated me as a young teen and I was always inspired by Karina and her courage to live alone. I am cast upon a horrible desolate island, void of all hope of recovery. I am singled out and separated, as it were, from all the world to be miserable. I am divided from mankind, a solitaire, one banished from human society. I have not clothes to cover me. I am without any defense or means to resist any violence of man or beast. I have no soul to speak to or relieve me. But I am alive, and not drowned, as all my ship's company was. But I am singled out, too, from all the ship's crew to be spared from death; and He that miraculously saved me from death can deliver me from this condition. But I am not starved and perishing on a barren place, affording no sustenence. But I am in a hot climate, where if I had clothes, I could hardly wear them. But I am cast on an island, where I see no wild beasts to hurt me, as I saw on the coast of Africa. And what if I had been shipwrecked there? But God wonderfully sent the ship in near enough to the shore that I have gotten out so many necessary things as will either supply my wants, or enable me to supply myself even as long as I live," (58). I love his ability to acknowledge the bad things, but to take them in stride and understand that he can turn them into good. 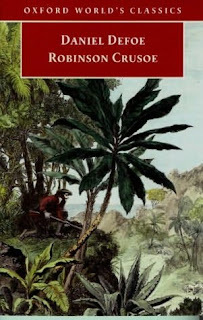 The entire novel I was struck by how Crusoe sees the good in everything he does and continuously hopes to be saved. Eventually, he seems to accept his fate and continues to live, still hoping for a miracle. By the end, I was in awe of Crusoe's ability to maintain positivity in a situation where so many would have given up and failed. He lived and succeeded in ways that are truly remarkable. And I loved every moment of it. No wonder the world of Defoe loved this novel, and cherished the action and adventure of it. It allowed them to escape to another place and live with Crusoe as he struggled against the island. If you have stayed away from this like I did, then I definitely encourage you to go pick it up. You might be surprised, as I was, by how much you love it! Weekly Wrap-up for July 25, 2010: Work and This Week! Work has been a little insane the last week. As most of you know, I am currently working as a seasonal park ranger at a local park in my hometown. I started the job 7 summers ago as a college student. It was the perfect job for a college life, since the work is pretty seasonal. I was promoted a couple of years ago to the title of "Summer Assistant," which basically means that when the Head Ranger isn't there, I am in charge and take over. It is an awesome job, but obviously it is not what I really want to do. I am not able to work in the winter months and while the pay is okay, it is not great for someone with two college degrees. Anyway, we have been pretty busy...and sweltering in the heat and humidity. This summer has been one of the hottest I can remember in Michigan, and it is super nasty when you are working outside. It is hard to keep some motivation to dive into the heat and haul woodchips...or do any of the other pleasant outdoorsy things we do. Today, however, was on of the busiest days I can remember. I was hauling trash bags and cleaning up litter almost all day. I am super tired and hot, so I am going to stop my rambling and get on with the point. Basically, I have been working a lot and the heat is draining, so I haven't spent a lot of time online recently. But I have a good chunk of time tomorrow evening and I am planning on getting a few posts written for this week. I have a lot planned for this week. 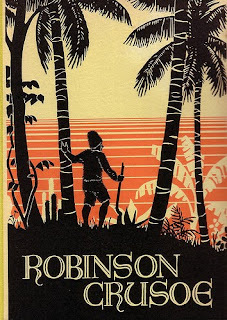 I am going to put up my final post on Robinson Crusoe post with my thoughts. You all had a lot of things to say about the book, so I am glad that I can finally get my own opinions out there! Of course, there will be another "Thursday Treat" post on Thursday to highlight another fun read from my past. I also have two posts on the two sets of "fun reads" I had over my vacation (I just finished the second set last night). 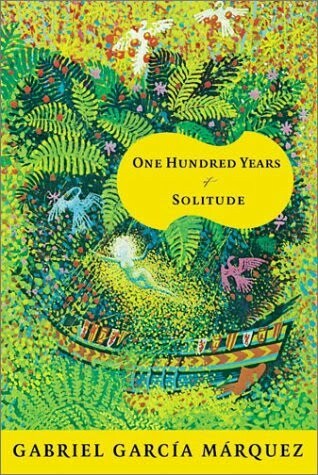 And on Saturday, the second of my posts on One Hundred Years of Solitude will go up. So yeah, this will be another busy, busy week! I am also going through the process of culling some of my books. I own about 1200 books, so I am looking to get rid of 100 or so. I have a really hard time letting go of my books, so I am going to try and start with a small number. I already have about 25/30 set aside. I am sure I will be giving some away, so look for that in the future! Lastly, coming up near the end of August is my "blogversary." While I didn't start my project until September 1st, I had a few posts up at the end of August. I am planning a few things for that week to celebrate, and will be doing some fun contests. Anyway, Happy Reading everyone! And enjoy your week! Back in June, my readers voted for the next couple of read-alongs. I determined that holding 2 in July would be a form of suicide, so I pushed one back to August. 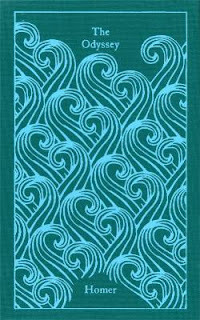 But now the time has come to see if there is still interest in reading The Tempest by William Shakespeare during the month of August. 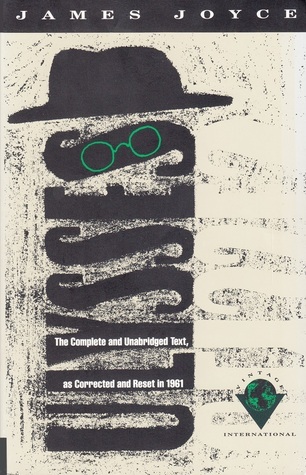 Personally, I am really excited to read this play, as I have never read it before! Plus, Shakespeare is always wonderful and leaves me feeling quite accomplished. "Prospero, exiled Duke of Milan, living on an enchanted island, has the opportunity to punish and forgive his enemies when he raises a tempest that drives them ashore as well as to forestall a rebellion, to arrange the meeting of his daughter, Miranda, with an eminently suitable young prince, and, more important, to relinquish his magic powers in recognition of his advancing age. Richly filled with music and magic, romance and comedy, the play's theme of love and reconciliation offers a splendid feast for the senses and the heart." Post 1 over Acts 1 and 2 on Monday, August 16th. Post 2 over Acts 3, 4, and 5 on Tuesday August 31st. This will allow about two weeks to read each of the sections, which will give you plenty of time to post. Also, if two posts is one too many, you can always post on the 31st and discuss the whole play. Anyway, I hope you will think about joining in. 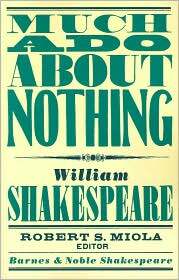 I think this will be a great play to read as a group and if you aren't used to reading Shakespeare, it is good to jump in with other people! Leave a comment here if you are planning on joining in on the fun; and as always, please post and spread the word about the read-along, even if you aren't interested! I don't usually do a lot of memes. They take up a lot of time (and energy) and sometimes I just don't have the gusto within me to make another post. With that being said, I love reading memes on other blogs. It is a great way to get to know the writer behind the blog and more of their tastes. 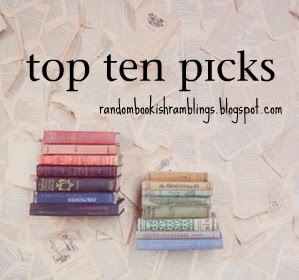 Jillian at Random Ramblings has been hosting her "Top Ten Picks" for awhile now, and I have decided to join in this week. Each week she picks a topic and posts her top ten picks in reference to that topic. She has already written about villains and series among other things, but this week's topic is our Top Ten Favorite Male Literary Characters. My ten picks are seen below, and are in no particular order. Enjoy! 1. 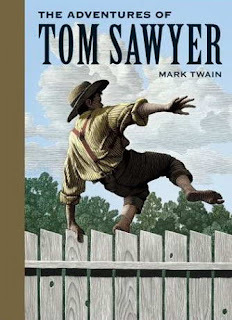 Tom Sawyer from The Adventures of Tom Sawyer by Mark Twain. I absolutely adore the character of Tom Sawyer. I even told Matt, my husband, that I would love to have a little boy just like Tom. He thinks I am crazy, but I love that sneaky little boy with all my heart. He is certainly cunning, but there is a lot of depth to him and I think I would always be surprised with him around. While Gandalf is certainly a great wizard, it is Aragorn who has always inspired me in my readings of Tolkien's world. I love seeing him transform from the dark stranger known as Strider, to the confident king of Gondor who leads his men with strength and bravery. I love a funny man, and especially one who uses wit to aid his arguments. For me, Benedick steals the show in my favorite comedy by Shakespeare. He enters scenes and awes me with his wit, humor, and ability to do as he needs to come out on top (and happy). I think every girl who reads Pride and Prejudice falls in love with Darcy just a little bit by the time the book ends. 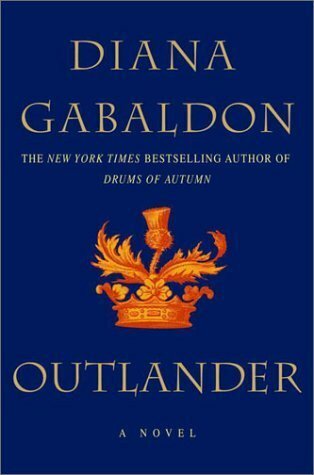 His efforts to ease the pain of Elizabeth and her sisters is commendable and allows the reader to forget some of the harsher things he said previously in the novel. In the end, he really is a big softie, and a man who fell so deeply in love that he did whatever he could to assure the happiness of his love. While Odysseus may be the main star of Homer's epic, I find that the tale and struggle of Telemachus is more interesting and appealing. Where his father is lost at sea battling mythical beasts and monsters, Telemachus is becoming a man and battling real fights in his own home as suitors take over and destroy what Odysseus had built. While I can't relate to the trials and tribulations of becoming a man, I can sympathize with how Telemachus must battle with the shadow of his father's success to become a man in his own right. You're going to have to excuse my girl crush here, but Jamie is probably the only male character I have ever developed a crush on. Sorry to tell you all that I am really a big sap, but it is true. I love how Jamie protects Claire at all costs. I love how he is big and strong on the outside, but just a big teddy bear. Snape has long been my favorite character of the series. Where the main characters are sometimes whiny and unsure, Snape is always a constant in the background. When I was reading the series as it was being published, there was always that lingering question of whether Snape was truly "good" or not. It was something that everyone talked about before the 7th book his the shelves and I remember thinking how desperately I believed him to be a good person. In all, I think he was the best written character of the series, and his story and history captured my heart more than many of the other characters'. 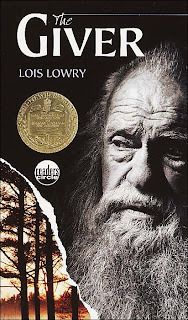 Another of my long-time favorite books, The Giver holds a special place in my heart. And in Jonas, one of my favorite characters of all time. 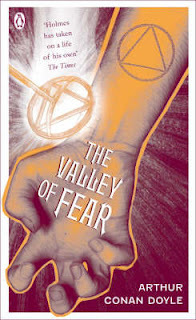 At only 12, Jonas' world is turned upside down when he learns the truth about the village where he lives. He challenges that place and escapes, finding courage in unknown places to seek the truth about what he really believes in. I love Jonas because if I were in his place, I don't know if I would find the same courage in myself. Sherlock is a new addition to this list, as I am still making my way through the 4 novels and 56 short stories written about him and his detective work. He has sparked so many TV shows and movies that I doubt I could watch them all. He is a pompous and arrogant man, a drug addict, and highly intelligent, but I love him anyway (he would hate that). I am always surprised by his solutions, and the manner in which he talks to the characters around him. Take from one of my favorite novels of all time, Lawrence Selden is the counterpart to Lily Bart. He falls in love with her, but cannot support her. Instead, he watches from afar as Lily spirals out of control. His scenes with Lily break my heart and at times I want to reach into the book and shake her. His devotion and words at the end bring everything together and make this the amazing book that it is. 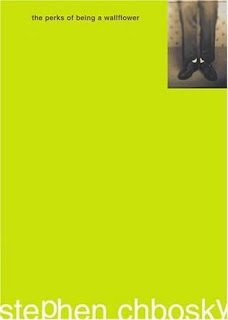 Thursday Treat #22: The Perks of Being a Wallflower by Stephen Chbosky. "So this is my life and I want you to know that I am both happy and sad. And I am still trying to figure out how that can be." Every once in awhile, I stumble across a book that has a profound effect on me. It might be the prose, the characters, or the plot. Or it is none of those things. It is just that moment of finding a book that speaks to me at the right time, that makes everything "click" into place, and finds me in the perfect moment where I understand everything. Those kinds of books are rare and they leave the reader forever altered by the lesson they taught. I read Chbosky's novel for the first time as a high schooler. It had been passed around my group of friends and it finally made its way into my own hands at the perfect moment. I had been going through a rough patch and I was struggling with a lot emotionally. But I opened the lime green cover to discover something that forever changed me. I can't tell you what it was exactly. Charlie's story and his letters to an unknown recipient had nothing in common with my life. He was not like me, and his friends were like no one I knew, but I could see myself in Charlie's voice. As he grew and struggled with who he was, I found meaning in myself and who I wanted to be. It made sense to my high school brain, that infinity and youth went hand in hand. And that while things may be rough and things do not always go according to plan, there is no denying the hope and promise of possibility. It was something I had to remind myself of back then, and on each subsequent reading I have taken that reminder to heart. I was sitting here, a few moments before I opened the page to write this post, and reflecting on that feeling of hope and possibility. We all have our low moments, and it seems that I am continuing to have mine. After all, it is almost a year since I have started my blog, and I came into this for a few reasons. The main reason I began to write and to read and to learn was that I was searching for purpose in my own life and a direction to go. And now, coming almost full circle to where I was a year ago, I have to wonder if things will ever begin to change? I am still, almost, in the same place I was then, but with so much more behind me. It was as I was thinking of these things that Chbosky's words came to mind, and that I thought of Charlie and what this book has taught me. Life can bring you down. It can make you want to tear your hair out in frustration, and sob like a baby. It can also bring you tears of joy, and great feelings of love. There are always friends to lean on, and family to complain to. And no matter how hard it gets, there is always that hope and possibility for something different to come the next day. There is always that moment when you check yourself and think that you can handle anything, that you can be anything, and you feel infinite. Pure infinity and drive and the want to accomplish great things. I may be 8 or 9 years older than I was when I first discovered Charlie and what he meant to me. But as I grow older and remember, and re-read, I am always surprised and how much I still have to learn-from him and the other characters I haven't met yet. 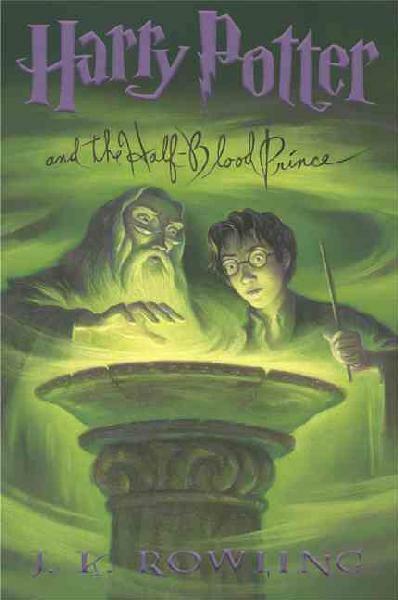 This is a book that has defined me, and altered who I am today. And I cherish it, as much as I cherish my other favorites, in a way that I don't think anyone else can quite comprehend. For those of us who are readers, some books just become a part of us and while we try to explain their meaning to others, sometimes we just want to hold that part of us closer and never let go. Other times we gush and rave and implore those around us to take hold of the wonder we found in those pages. We just want to pass it on and won't stop at any means until the listener agrees to read what we have read, and to love what we have loved. I suppose you can consider this post my gushing plea to go and pick this up if this at all moved you. It was inspired by a story that has become a part of me, and I so want it to become a part of you as well. Author: Daniel Defoe (1659-1731)-I should point out that the actual date of his birth is unknown, but it is somewhere between 1659 and 1661. There is a lot of interesting information about Daniel Defoe and the craze he started with the publication of this little novel. It is regarded as one of the first stories of its kind-an account of adventure and intrigue that took hold of the world when it was first published. It sold out of FOUR printings in the first year it was released, which was in 1719. That is truly remarkable! It also launched a whole genre of novels with similar themes. The term for the genre is "Robinsonade" as a homage to the wonderful action and ingenuity that this novel explores. In addition to Robinson Crusoe, I will also be reading Moll Flanders for my challenge. I have had limited experience with Defoe. I have read a few of his essays (for a college class), but have never attacked one of his larger works. I am really looking forward to this and seeing how the orginal island survival story pans out! Given my love for the TV show LOST and that kind of island survival, I have to wonder if Defoe and his hero have more success! Today is the first post for the read-along of Gabriel Garcia Marquez's One Hundred Years of Solitude. I was really excited to see that this novel won the poll, since it has been a book that I have long been curious about. 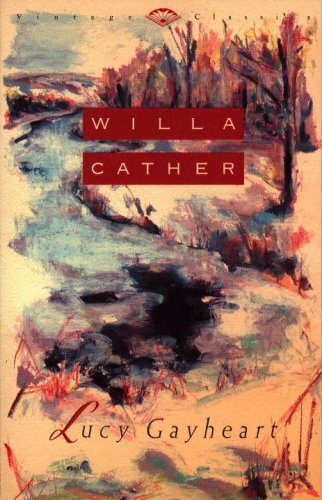 I have also been a little curious about the author and since I have always been wary of new authors, this was a book and author who has lingered in limbo for some time. I think I need to be a braver reader. 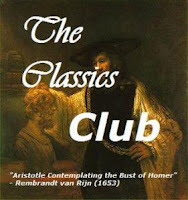 I have found that diving into new books and new authors has opened a lot of doors for myself, especially when it comes to classics. So often we regard classics as these massive tomes of wordy prose that some old fat man wrote 200 years ago. That is not always the case. In this novel, I found beautiful writing and a story that has truly captured me not only for the power of its voice, but because of the way in which it is told. At first, I thought I had picked up a faulty copy. After all, I picked up my edition at my library's sale back in May (one of the few books left on the tables) and perhaps someone had cut it up and inserted random sections. However, I realized that was idiotic and I simply let the story flow, much in the same way as I do when I read Virginia Woolf. The novel is told in magical realism, which is basically the style of adding magical elements to a realistic story. The magical elements seem to flow right in with the realistic and add to the overall feel and flair of the writing. I admit that it is hard to get used to, but Marquez blends the right amount of magic in with the world he has created. In this first half of the novel (I finished on page 218 in my edition), we meet the Buendia family, one of the founding families of Macondo, a small village in Colombia. Throughout this first part of the narrative, we learn about the beginning of the village and the men and women who founded it. All of the story is told from the perspectives of the Buendias and they center the novel as the village grows and changes throughout the years. We meet the family and as they grow, we grow with them. I did find the names confusing. The father's name is Jose Arcadio Bunedia and his wife is Ursula. You have their two sons: Jose Arcadio and Aureliano, and their daughter, Amaranta. They also marry and have children, who, among others have the names of: Remedios, Arcadio, Aureliano Jose, Jose Arcadio Segundo, Aureliano Segundo, Amaranta Ursula, and so on. The names are confusing. The continuous use of the same family names made this harder to keep track of that Dostoevsky's The Brothers Karamazov (that should say something!). But I found that the novel spoke the strength of the family by the repetition and adds to the mystical qualities. You are never sure of the ghosts of the past have moved on or if the namesakes have truly passed on. Instead, the reader is left wondering if the dead are influencing the living and those who carry on their name. We also see the small settlement change in this first section. Plague comes, as well as gypsies. Knowledge spreads, as does violence. Romance captures the young and insanity threatens the old. The realism flows in and out of this magical place, a place where no one died of natural causes for years and where the outside world had little influence. It is a beautiful world and I love the grandeur of Marquez's words as he describes the way the world changes even the smallest things, and how one family can impact the course of events. Of course, I am not finished yet as I still have 200 pages to go, but I am looking forward to seeing how Marquez ends the tale of Macondo and that of the Buendia family. Make sure you leave a link to your post in your comment so I can provide a way for participants and other interested parties a way of seeing your own thoughts! Today I am turning 25. I have mixed feelings about this milestone. On one hand, I now get cheaper car insurance (woot) and now I can rent a car without paying extra fees. But it also marks another year gone, and what a year it has been. I started my blog almost 11 months ago, I got married, I moved out on my own, and I am still looking for the elusive full-time to pay the bills. I am looking forward to what the coming year is going to bring. And I am going into it with my fingers crossed tightly in hopes that things get a little better. And I am also going into it by giving you all a piece of the celebration. I am giving away TWO gifts up to $15 each to TheBookDepository.com in honor of my my birthday. Make sure they deliver to your country before you enter! Comment on this entry and leave your e-mail address. Tell me your favorite birthday memory. You don't have to be a follower and you don't need to tweet and you don't need to tell your mom to enter. I will randomly pull two names out of a hat from the entries. I'm closing the contest Wednesday July 21 at midnight, so make sure you get your entries in before then! 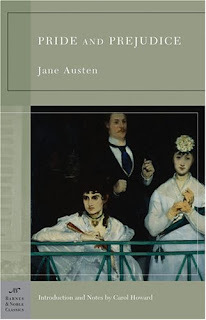 Weekly Wrap-up for July 11, 2010: Book Plans and Acquisitions. It was a decent week after we hit the mid-way point. I fortunately had two of the four days of the heat wave off so I spent them blissfully in bed with the air conditioning working hard. I was grateful I didn't have to go and work (I work outside, so when it gets really hot, it is super nasty). I also feel slightly better, but still tired. Mono is different for everyone and I certainly have the fatigue and muscle aches! We've been getting ready to go up north tomorrow, which we are both really excited for. We both need a break and it will be wonderful to sit out in the sun (or sleep) and read some wonderful books. Matt is planning on making me go fishing, but he agreed I can just accompany him on the boat and read while he fishes. We'll see though! On Thursday we might be making a trip up to Mackinaw Island, which is about 45 minutes north of my family's cottage. I haven't been up the island since I was 2 or 3, and since Thursday is my birthday, I wanted to do something fun (I'll be turning 25). There are also some new bookstores in downtown that my aunt was telling me about, so I think we are going to have to do some more book shopping. I have gotten quite a few books over the last week or so. I got a good chunk for my birthday from my parents and brothers and sister, and some I bought with a gift card another relative gave me. I also just out and purchased one since I am planning on bringing it with me next week. I had asked for 6 or so titles to finish the first two sets in the beautiful Penguins Classics series (the picture shows the full set of three different printings. The third printing is available yet in the U.S.). This made me so excited as I love the vintage feel of this set and I am so glad that I have a bunch of great titles on my shelves. The books I now have are: Emma, The Odyssey, Treasure Island, Lady Chatterley's Lover, Alice's Adventures in Wonderland, Great Expectations, Wuthering Heights, Sense and Sensibility, Cranford, Tess of d'Urbervilles, Pride and Prejudice, Jane Eyre, and The Picture of Dorian Gray. Of those pictures, two of these books are now out of print. 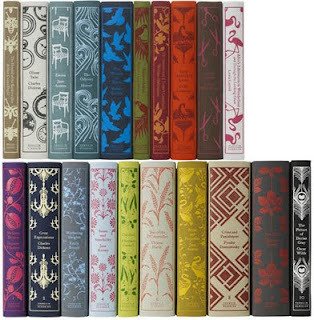 Apparently they only printed a limited number and only in the U.K. Those are Madame Bovary and Crime and Punishment. 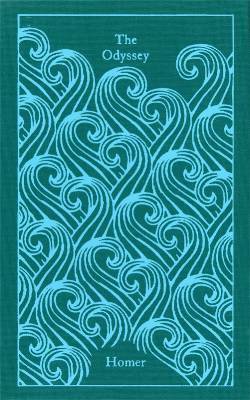 The rest of the collection will be out in September and it includes: The Hound of the Baskervilles, Oliver Twist, The Woman in White, Shakespeare's Sonnets, and Little Women. You can guarantee that I will try and add them to my collection as well! I also wanted to add another Steinbeck and this title has been hard to find in my local bookstores. 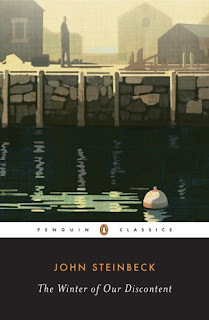 For some reason, they carry almost every other Steinbeck but this title! The Winter of Our Discontent is a favorite of my brother-in-law so I am curious to see if I am going to like it or if I will forever banish Kyle from giving me suggestions. I have already two Steinbeck's for my challenge, Of Mice and Men and Travels with Charley in Search of America. I felt indifferent about Of Mice and Men, but I loved the other. I'm not feeling up to tackling Grapes of Wrath quite yet, but I think this might be a good solution to get a Steinbeck fix. And I have a feeling I am going to like it a lot anyway. I also was excited that they had the Penguin edition. I love the sleek black look of Penguin Classics and while they cost more than some other editions, they look so pretty on a shelf. Because yes, buying books is all about putting them on display, isn't it? 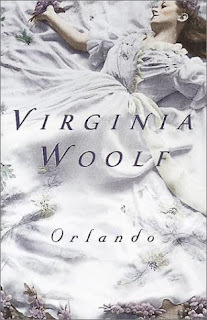 I thought I had a copy of Virginia Woolf's Orlando somewhere, but when I went looking, I couldn't find it. And since I have been craving some more Woolf (I love the lyrical tone to her writing), I wanted to read this title. I ended up buying a new copy that matches the others in my Woolf set. I had an older edition that was far less pretty anyway, so this cover is fine with me. But when I got home and checked my list, Orlando wasn't on it! It looks like I won't be reading it to fulfill my 250 titles, but I'm glad I have a new copy anyway. I know I'll get to it eventually since Woolf is a favorite of mine. 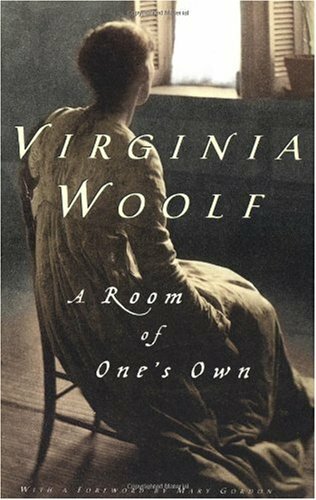 I also picked up another Woolf novel, A Room of One's Own. This one I haven't read before, so hopefully I enjoy it. At least this one counts for my challenge! The other novels by Woolf I have to read are Night and Day and To the Lighthouse. I already read and reviewed Mrs. Dalloway about a month or so ago. I have been in the mood for some wonderful Greek writing, so when I saw this on a display, I grabbed it. The edition of The Odyssey that I love most is Fagles translation. 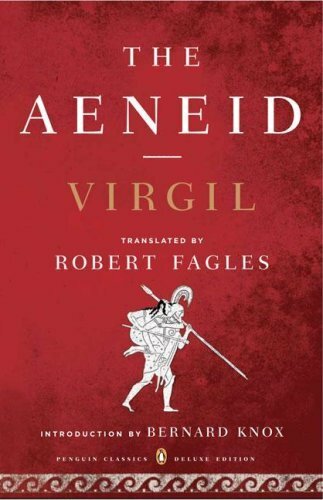 He really knows how to make the story come alive, so I know that I will benefit from his translation of Virgil's The Aeneid. And yes, translation DOES matter. Sara Douglass is one of my favorite fantasy writers. She is a great world-builder and I am fascinated by what she has created. 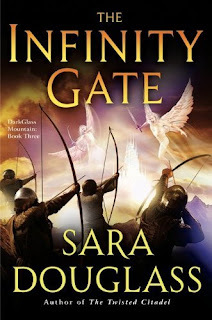 The Infinity Gate is the third in a trilogy (the other two titles are The Serpent Bride and The Twisted Citadel) that I have been anxiously waiting for. I haven't read any of the books. I always try and wait if I can for a series to be finished before starting it if it is by an author I really love and cherish. That way I can fly through it and be absorbed all at once. All three of the books are making their way up north with me and they will be part of the "fun reading" I am doing up north as part of my glorious vacation time. My last new buy was the newest book in John Flanagan's Ranger's Apprentice Series. I love this series more than anything. It is fun and action-packed. And while it is certainly YA, I love every word of it. I bought the 7th book in the series, Erak's Ransom back in January when it came out as well. Both that one and this title will be making their way up north as well. I might even bring the 6th book, The Seige of Mackindaw with me as well. And speaking of shelves, Matt couldn't figure out what to get me for my birthday, so we settled on getting another book shelf (yay!) so I can put more of my books on display. I currently have one shelf in our bedroom that houses all of my classics, but I would love to display some of my favorites on another shelf. The rest of my books are in boxes in one of our closets. I own about 1200 books, so you can imagine how when I say the closet is full of books I am not exaggerating. But it will be awesome to have more out and within reach. Well, I spent a week away from blogging and what a week it has been. The mono hit me very hard and there have been many days where I have slept 16+ hours and have still felt exhausted. I feel a little better tonight after a good meal, so I thought I would spend some time catching up on all the blogs I follow, and write a post or two. Being sick and the other negativity from last week has put a lot of things in my personal life in perspective, but I'll only discuss what I need in regards to my blog. Honestly, I love blogging. It has given me a lot of motivation over the last 11 months or so and I am grateful to be a part of a great and welcoming community. And while I am not as far along in my challenge as I would hope to be, I am happy with what I have accomplished. It is daunting to think that I haven't made much of a dent (I am 51 books in out of 250), but when I think about some of the larger challenges I have been working on, that number seems more impressive. That 51 includes all 3 novels in The Lord of the Rings trilogy. I have also been working my way through the 9 volumes of Sherlock Holmes stories and while I have 2 left, one volume only has 6 stories. I have also read some of the biggest and most intimidating novels on my list: Crime and Punishment, The Brothers Karamazov, Great Expectations, The Count of Monte Cristo, and Gone with the Wind (okay, not really intimidating, but certainly long). I have also been averaging around 3 or 4 posts per book. Like I have said in my FAQ's, I like writing multiple posts to talk about the reading process, but as I continue with my blogging, I realize that writing so many posts is draining me. You can count on seeing less posts per book (and less posts per week) in the future. I need to save my sanity. I do need a mental break to recharge. I have been struggling with quite a few titles recently. I have picked up and set down the following books in the last couple of weeks: Lord Jim, One Flew over the Cuckoo's Nest, Things Fall Apart, The Inferno, Tom Jones, and To Kill a Mockingbird. Nothing seems to be working. And I am currently on page 30 in An American Tragedy by Dreiser and there are almost 1000 pages. I think it may be time to use one of the free passes I granted myself. I decided to give myself these passes as a way to read some of the novels I knew would be coming out during this challenge so that I could read them at their debut and not have them spoiled for me (I am thinking about Mockingjay in particular. 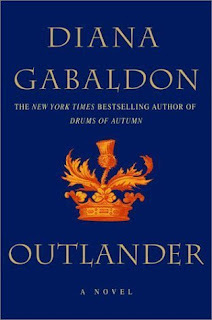 I know that I will have to read it the day it comes out or it is going to be spoiled for me since MANY blogs I follow are anxiously awaiting its release as well). But, I am going on vacation next week. Matt and I (and the kitties) will be heading up to my family cottage for 3 or 4 days and I think I am going to read a "fun" book or two while we're up there. I need a mental break and since I probably won't be up for much of the physical stuff while we're up there (tubing and waterskiing and the like) I think a nice big fantasy read will do me some good. We'll see though. A part of me feels like I will be cheating on the quality books on my shelf, but if I put it in perspective, it has been 11 months since I have read anything other than a "classic." And while I certainly have loved most of them, they take a lot more mind power than a fantasy novel or some YA. (Its the truth, you know it and so do I). Anyway, I am going to schedule some posts for nest week (1 or 2) and I will plan on being back full board the week after. I have had a rough week. First, I was diagnosed with mono, which explains how horrible I have been feeling lately. Second, I was rejected from two school districts this week. It is hard not to let that get to me. This is the third summer I have been looking for a full-time teaching job, so I know how the routine goes. But I am more than a little frustrated, and yes, my feelings are hurt. Anyway, with the mono and everything I haven't had much energy for much besides work and sleep. I'm going to take a couple of days away from the blog to re-evaluate some things and get my head back on straight. I'll see you all soon.